Sending a collection notice after a bankruptcy can end up costing your agency in many ways. On the surface, doing so wastes time by trying to collect on an account that cannot be collected. More importantly, if you send a collection notice in violation of a stay, your agency (and maybe even your clients) will be out of compliance and subject to lawsuits. Do you have a policy in place to handle bankruptcy? 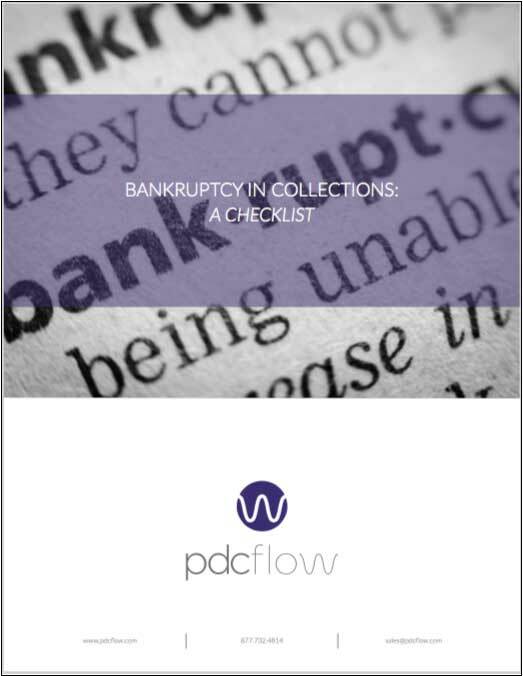 Download this Checklist sheet detailing the various items to consider when handling bankruptcy. The information provided comes from members of the California Association of Collector’s Members as provided in their webinar series: Collection Boot Camp.